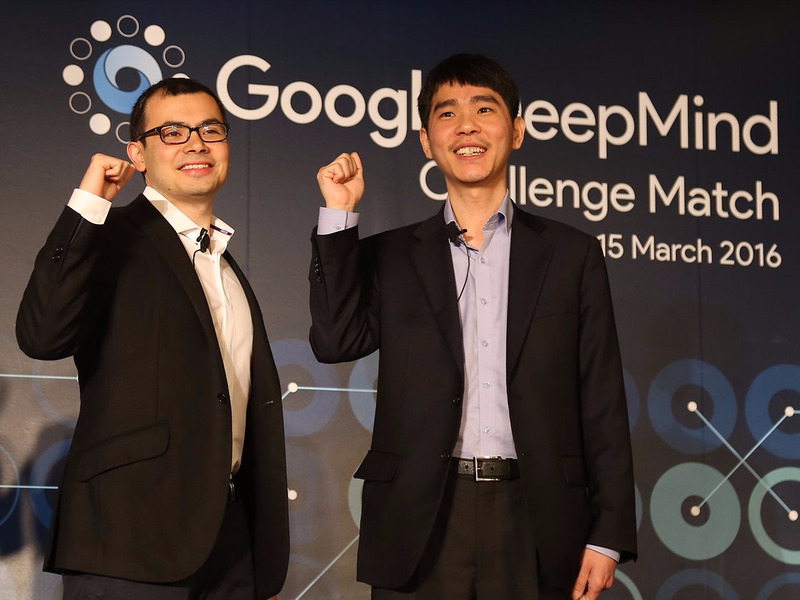 Google DeepmindDeepMind CEO Demis Hassabis and Lee Sedol, the Go champion defeated by DeepMind’s AI in 2016. Google’s artificial intelligence business, DeepMind, has reported rising expenses for 2017. It’s also generating more revenue thanks to commercialising its cutting-edge research to help its parent company. In financial filings made in the UK, the company said expenses had more than doubled thanks to staffing and other administrative costs. Hiring top-tier academics, doctors, and engineers isn’t cheap. DeepMind is best known for its AlphaGo algorithm, which beat the human champion of strategy game Go in 2016. Revenue: £54.4 million ($US71 million), up 35% from £40.3 million ($US52 million) in 2016. Losses before tax: £281.9 million ($US366 million), up 123% from £126.6 million ($US164 million) in 2016. Expenses: £333.8 million ($US433 million), up 104% from £164 million ($US213 million). Staff costs: £200 million ($US260 million), up 91% from £104.7 million ($US136 million) in 2016. Google acquired the UK-based business for £400 million (then $US600 million) in 2014, in a major bet on the future of artificial intelligence. The company has made history in its mission to create general artificial intelligence. In 2016, its AlphaGo algorithm beat the world’s human champion at the strategy game Go, one of the most difficult games ever invented. Staff costs almost doubled to £200 million. That figure covers salaries as well as benefits and costs like pensions and travel. Staff numbers were not reported in its earnings, which is relatively unusual, but CEO Demis Hassabis said in 2017 the firm had around 700 employees.